I couldn’t agree with Dr. Levine more about the human body’s need to move. 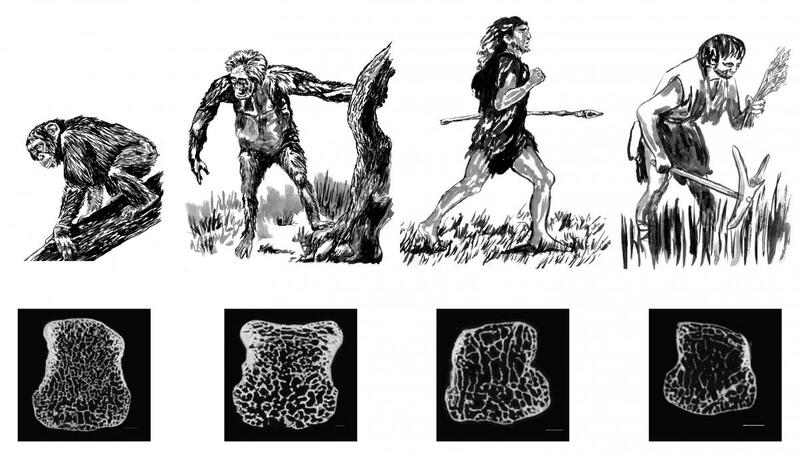 And new findings are showing that for millions of years our human ancestors had much high bone density than we do today. Anthropologists discovered this when comparing the bones of modern humans and chimpanzees to fossils of extinct humans. It seems that our modern, lighter, human skeletons evolved only 12,000 years ago — a very short time ago, anthropologically speaking! Specifically, what anthropologists see happening is a thinning of the weight-bearing, inner spongy trabecular bone and a subsequent weakening of bone architecture. This has occurred with the advent of a more sedentary agrarian lifestyle. And although we will never be as active as our foraging ancestors, there’s a lot we can do get in motion. Walk over to a colleague’s desk, rather than emailing.